Model and former adult movie star Ashlynn Brooke is a huge Packers fan. 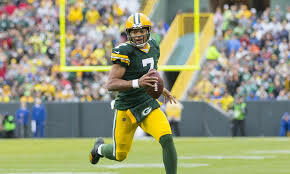 1) Is Brett Hundley a lost cause? It’s too soon to say that. He’s gotten a little better each week, and while the improvement has been minimal, he’s at least trending in the right direction (at this rate, he’ll be a good starting quarterback by around 2022). But seriously, I’d love to see how Hundley would look with someone like Sean McVay calling the plays instead of Mike McCarthy. Using schemes from 2000 isn’t helping the former UCLA star. Meanwhile, the innovative McVay has turned Jared Goff into a star. Watch a Rams game when you get the chance and count how often a receiver is wide open. Hundley may appear to have the vision of Ray Charles, but even he’d be hard-pressed to miss Sammy Watkins and Cooper Kupp as they run uncovered across the field. 2) How did Vince Biegel look in his NFL debut? As Larry David would say on Curb Your Enthuisiasm, “Pretty good. Pretty, pretty, pretty good.” The former Wisconsin star more than held his own vs. the run, and while he didn’t do much in limited opportunities as a pass rusher, he at least made the opposing offensive tackle work – something that almost never happens when Kyler Fackrell is on the field. Regardless of whether Brooks is finally healthy enough to play later today, Biegel needs to get at least 15 to 20 snaps. Even when he’s not making a play, his aggressiveness is a welcome change from the zombie-like energy shown by the vast majority of his teammates. 3) How has Ted’s foray into free agency worked out through 8 games? Not very well. Aside from 34-year-old right guard Jahri Evans, the Packers haven’t gotten much from the veterans signed in the offseason. Martellus Bennett and Ricky Jean Francois are already gone, Ahmad Brooks has missed 4+ games with a bad back and Quinton Dial and Lance Kendricks have been disappointing. And while it’s hard to criticize Davon House for being mediocre – that’s always been his MO – it’s fair to criticize the front office for choosing him over Tramon Williams (Cards), whose play was much better last season and whose play has been much better so far this season. Simply put, it’s not a good thing when former Arena Leaguer Justin McCray winds up being the second-best free agent acquisition. 4) What should be the top priority on offense next offseason? It’s sad to be thinking about the offseason in early November, but that’s the reality. The top priority on offense has to be getting faster. While the tortoise may have won the race against the hare, they weren’t competing on a football field. Without the magic of Aaron Rodgers to make everything all right, the slowness of the skill players has been striking. Jordy Nelson and Randall Cobb can no longer separate down the field and I think I could beat Geronimo Allison in a footrace. The only one of the top four wide receivers who can get behind a defense is Davante Adams, and nobody will be confusing him with Usain Bolt. The pick: I refuse to choose the Packers until they prove capable of winning a game without someone named Rodgers or Flynn under center. But if I was ever going to pick them, today would be the day. 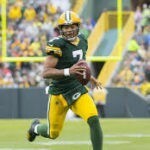 Facing a rookie quarterback and a pedestrian group of receivers, even Dom Capers should be able to keep the Bears from scoring more than 20 points. 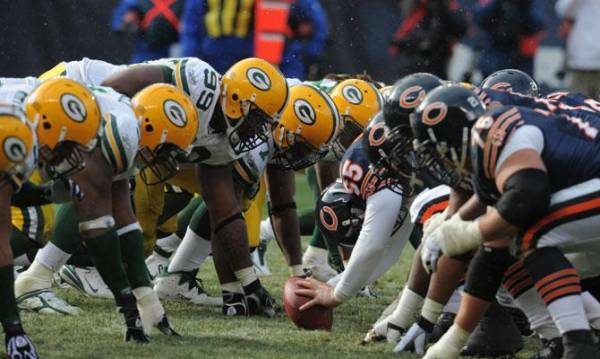 Packers Notes is the creation of Michael Rodney, who has been writing about the Green Bay Packers for close to 30 years. His first blog, Packer Update, hit the internet in 2006. Before becoming a public educator, Rodney worked as a journalist for a couple of newspapers in his home state of New Jersey. He's had numerous articles on the Packers published and he's been featured on both television and radio over the years.